WPC Group’s initiative Auto Apprenticeships makes it easy for you to join our network of employers. The process is quick and simple. WPC Group offers a ‘one stop shop’ integrated workforce solution. 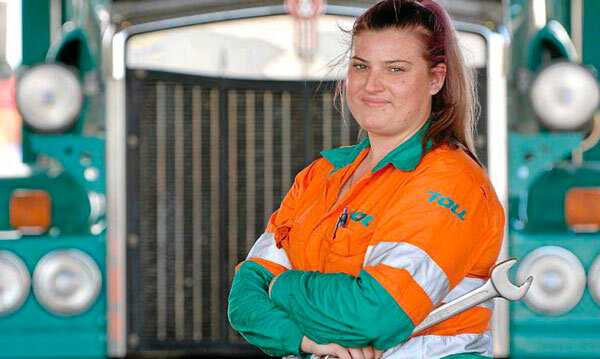 Australia is facing a critical shortage of skilled people. Don’t get caught out. We partner with more than 250 companies and government agencies to develop people who can meet current and future skill requirements. WPC Group employs apprentices and trainees specifically according to your requirements. We then place them in your business. We will mentor them through their apprenticeship/traineeship, taking care of all the details: payroll, workcover, super, training and administrative requirements involved in hiring. You gain the beneﬁt of having an apprentice or trainee and contribute to building the future skills needs of your business and industry. WPC Group monitors and manages them for the full length of their training and provides you with regular progress reports. Hiring an Apprentice. When hiring a WPC Group apprentice under a group training arrangement, you make all the hiring decisions when it comes to selecting an apprentice for your business. WPC Group will provide you with a shortlist of suitable candidates for selection and can even organise for you to share an apprentice with another business if you don’t have enough work for an ongoing or full-time position. Hosting an apprentice is flexible, cost effective and tailored to suit you. What does it cost to hire an apprentice? Apprentice/trainee wages vary according to certain characteristics: eg. years of school completed, years of training completed, the type of apprenticeship/traineeship and the industry or occupation. Apprentices are usually paid a training wage or an apprentice wage under an award or enterprise bargaining agreement (EBA), reflecting that the employee spends time in training. WPC Group can provide you with an obligation free quote. Simply contact WPC Group on 1300 656 461 and an Industry Consultant from an office closest to will prepare you a comprehensive obligation free quote outlining costs associated with your industry and trade.